Li-Yuan (Lisa) Ho was born in Taipei, Taiwan. She began studying the violin at the age of six. At the age of twelve, she made her solo debut playing Vivaldi’s Violin Concerto, The Four Seasons, with the Taipei Municipal Youth Symphony Orchestra, where she served as concertmaster. After winning the Taiwan National Violin Competition at age fourteen, Ms. Ho moved to New York City to further pursue her music education. She attended LaGuardia High School of the Arts where she was the concertmaster of the advanced orchestra for three years. She also appeared as a soloist with her high school orchestra after winning the concerto competition for three consecutive years. On Saturdays, Ms. Ho attended Manhattan School of Music-Preparatory Division and studied with world-renowned violinist Albert Markov. In December of 1992, she served as concertmaster of the New York String Orchestra under the direction of the late Alexander Schneider and performed at the Kennedy Center in Washington D.C. as well as Carnegie Hall in New York City. In 1995, Ms. Ho obtained her BM and MM degrees in violin performance at the Indiana University School of Music in Bloomington, Indiana. Her teachers at Indiana included Joseph Gingold, Henryk Kowalski, and Franco Gulli. 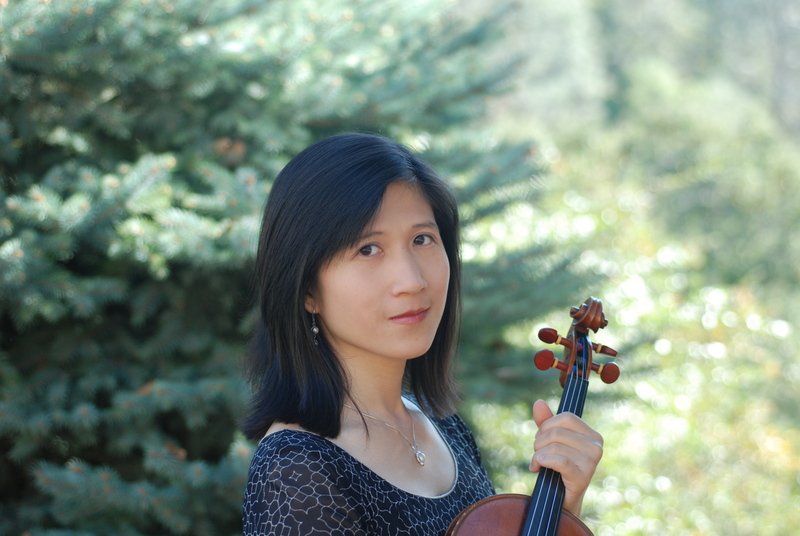 After graduating from Indiana University, Ms. Ho became a member of the Indianapolis Chamber Orchestra, the Muncie Symphony, the Marion Philharmonic, and the Encore String Quartet. When not performing, she taught at the Indianapolis Academy of Music. After moving to Durham, North Carolina in 2000, she served as concertmaster of the Raleigh Civic Chamber Orchestra and frequently performed with the North Carolina Symphony. Since moving to Redding in 2003, Ms. Ho has performed with local Symphonies and taught privately as well as being an adjunct instructor at Shasta College and Simpson University. She now serves as assistant concertmaster of North State Symphony and concertmaster of Shasta Symphony. In addition, she also served as a private instructor at Shasta College and several local charter schools. Ms. Ho currently resides in Redding, CA with her husband David, and two children Kess and Spencer.